FYI, I posted a blog sale [lulumum blog sale] yesterday, just in case you missed it. 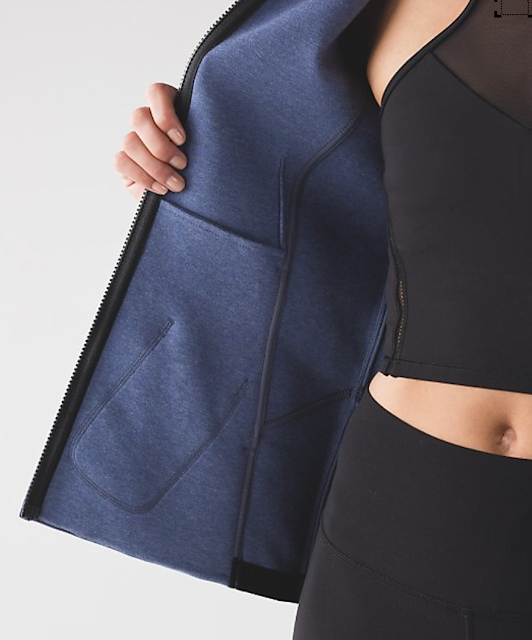 I gave you guys an exclusive sneak peek a couple of weeks ago of the Cool Racerback II *Peek [Here] thanks to Ms. M, and here it is in the Australian upload. Made of ‘new’ Spacer fabric. The hats we got at Seawheeze are made of this. It’s sort of a twill knit. 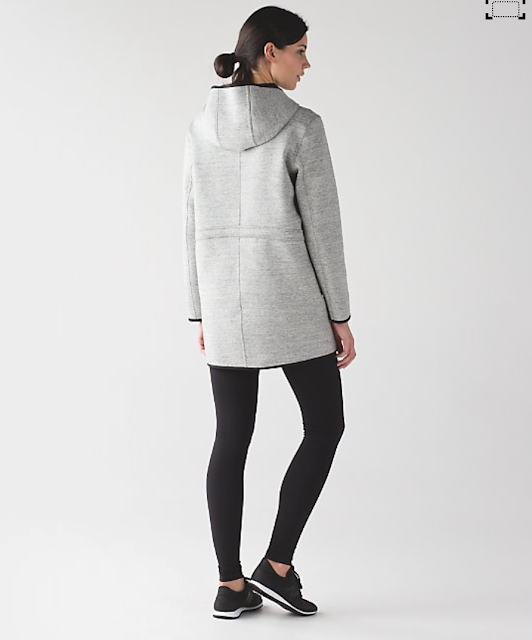 It reminds me a lot of Nike Cocoon wraps that where really popular last winter. 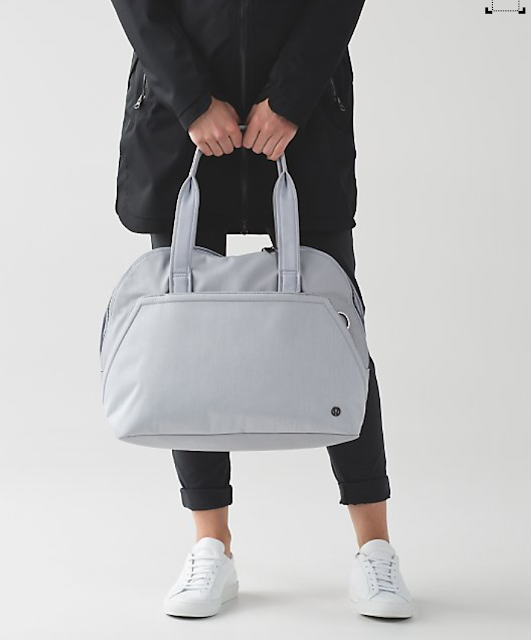 This version of the bag (*heat) has a heat resistant pocket for your hair straightener. Thats a pretty great feature. Just horrible. Those jackets look particularly stiff and short. Yes I saw this too. Love the part that says he's all about rebuilding guest loyalty. Thats the most ridiculous statement. he's done nothing of the sort in my opinion. He made our loyalty fly out the window in one fell swoop by getting rid of heylululemon!!!!!!! each time I see an interview with this guy I keep remembering what someone said on one of the boards: his family is still in California. if you are so dedicated to this Canadian company, how come your family never joined you in Canada? for me, the rest is just noise coming out from him. We have a massive men's business ahead of us – oh yay, here we go again. I am happy that lulu is so dedicated to the men's business. but as history has proven it, it all came at the expense of women's business. I remember reading in this article that he has a girlfriend…so maybe that's why he hasn't moved his family (as in, he's divorced). I know, a random thing to remember. I like that the bra is convertible in the back! I think all the *Peek items look like the seams are ripping. I don't mind the look of the WUC *Peek, a refreshing change from mesh but I wonder how those seams will hold up between the holes. The Spacer fabric looks stiff to me so it does not appeal to me at all. It's hard to look at the Maze Jacquard Print in the pics online, it's so busy, maybe better in person but who needs another black and white print? I read the article as well and just about gagged at the remark about rebuilding guest loyalty. I read the article. He sounds impressive and ready to fight the emerging competitors, but he just priced me out of most of the company's products. As an avid swimmer, I'm also glad that he "innovated" and we can now hide the highlights in our bikini tops by inserting pads (although we had to sacrifice the reversible feature), but what about adding a wee bit of material to the bottoms? Maybe then I will buy the swimsuits on WMTM. Lol at innovating bra cups. That is my #1 reason for never buying lululemon bathing suits. And the bottom coverage is the second. I have the Coastal Tank which is UPF swim material and had to take it back last week because chlorine and sunscreen burned the material and the straps degraded. And I wash immediately after water use and no dryer the same way I take care of all my other swimwear. 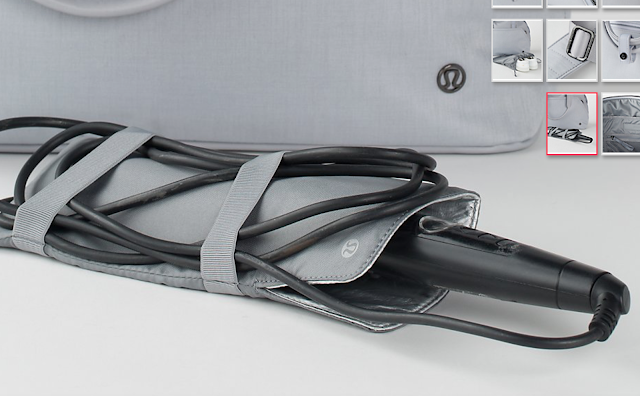 Adding a heat resistant cover for hair curlers to the bag is a great idea! I wash and curl my hair at the gym every second day, and have to carefully hide my hot curler into my damp towel, making sure the hot barrel doesn't touch anything else. They even added two bands across the cover to tuck in the cord, genial! But why do I have to buy the bag with this, why can't I buy it separately? Absolutely no to all of this, it s hideous. Agree with a lot of other comments. The jackets look so stiff and just blech. The seams on the CRB II *Peek, etc looks like the seams have ripped apart… and most likely will end up coming apart with wear and use… and why are they making so many crops and pants with so many seams these days… I don't like the look of it and it isn't at all functional to me, especially for yoga (don't like seamless either though, haha, just give me some regular original Wunder Unders and Grooves and I'm happy). 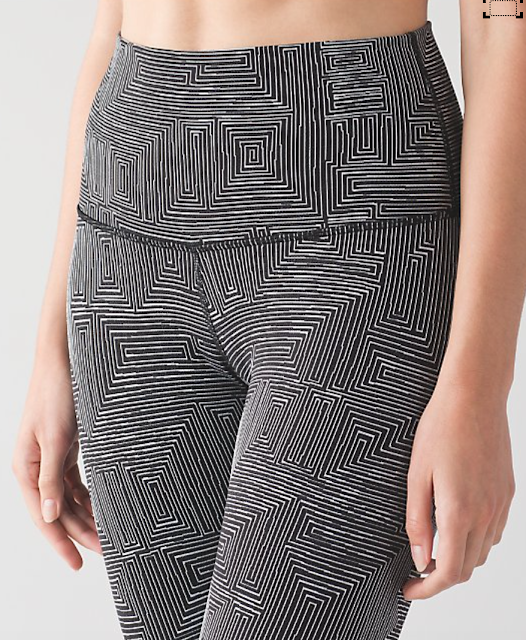 Not a fan of geometric prints, this maze print looks especially generic and unfeminine (for prints, I prefer them to be more feminine looking). Ah well, more money saved. This is for the ones who read the article in the Vancouver Sun today interviewing Mr. Potdevin. What do you think is coming down the pike with his talk about outerwear jackets without seams? He said seams create bulk and additional fabric so if their intent is to create jackets with little to no seams I guess it would cost them less to make which seems to be their goal with all their product. However, people keep talking about their pants and crops having too many seams so I am a bit confused here. 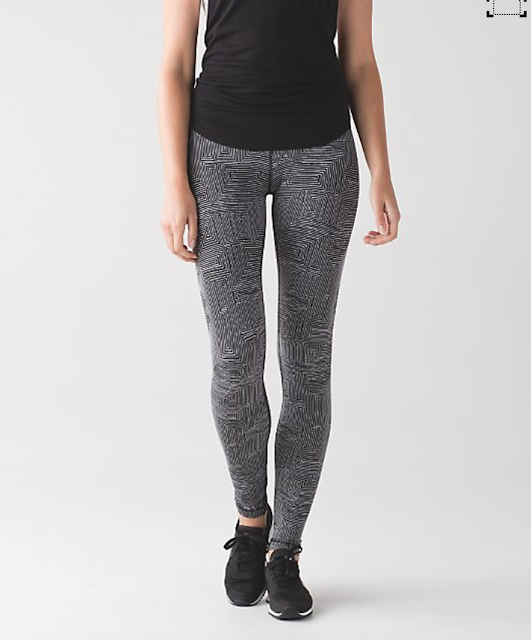 Are we going to see a change in pant and crop design where seams are eliminated or greatly reduced as well? 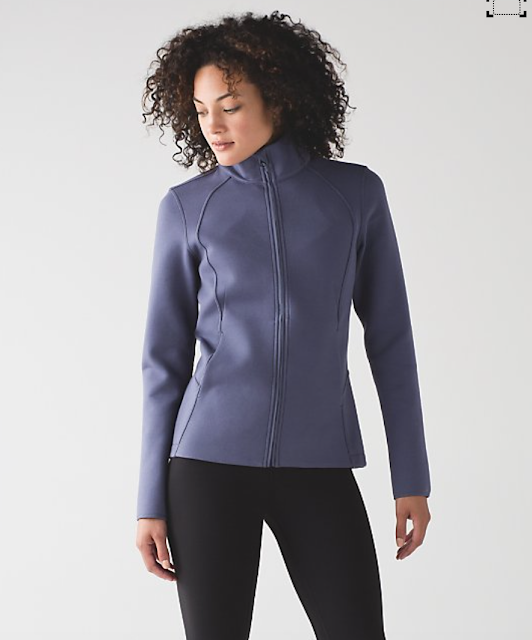 I can't see how a jacket without seams would be attractive… I can't imagine it… I'm thinking it will look like some boxy tent or poncho thing, lol. 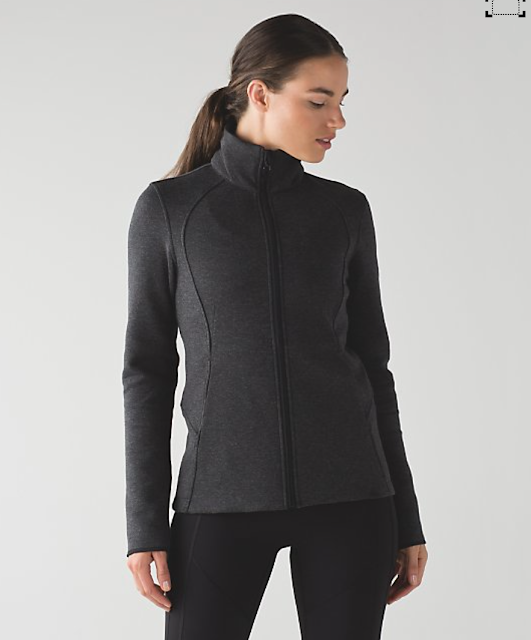 I'm not interested in seamless jackets. I have no problems with a properly waterproofed jacket with the seams treated to be waterproof as well (maybe taped seams is what it's called?). I don't like a lot of unnecessary seams on my pants like the ones pictures above, all these unnecessary seams aren't 'innovative' nor are they an attractive design/style detail imo. However, I don't like seamless bottoms either. I just like normal crops and pants, lol, with normal amount of seams. @anon 2:39PM haha agree with you! Loving the High Times Peek!